Start your journey to the most beautiful states of India with the arrival at Delhi Airport/ Railway station. Upon arrival, one of our representatives will greet you and help you to proceed towards Naintal the largest town and favourite hill resort of Kumaon region at an elevation of 2,000 ft. Upon arrival, check into the pre-booked hotel and spend your time at leisure activities with dinner and overnight stay at the hotel. After morning breakfast proceed for the sightseeing tour of this beautiful hill resort. 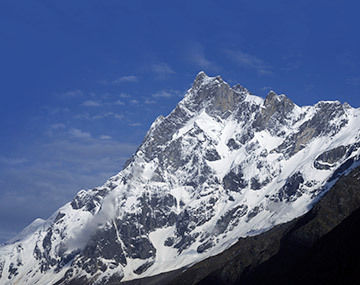 Visit the Naina Peak which is the highest peak in Nainital, Tiffin Top, St. John in Wilderness, Pt. G.B Pant High Altitude Zoo, Kilbury Bird Sanctuary, Eco Cave Garden, Naina Devi Temple etc. In the evening enjoy boating at the stunningly beautiful Naini Lake. Return back to the hotel for dinner and overnight stay. On the next day of your Uttarakhand travel package leave your hotel room and proceed towards Jim Corbett National Park which is 142 Km from it. Upon arrival, check into the pre-booked hotel and freshen up. Later on, enjoy the evening jungle safari to explore the animal kingdom and the surrounding forest lands. Return back to the hotel for dinner and overnight stay. Post breakfast one of the most amazing experiences of your life awaits you. Explore the remarkable wildlife of Jim Corbett with a jeep safari. It has five zones namely Bijrani, Jhirna, Dhikala, Dhela and Durgadevi. All the five zones have the healthy population of tigers and wildlife sightings. Later after some rest take an excursion to visit nearby places like Garjiya Devi Temple, Sacred Shakti shrine near Ramnagar or visit the Kalagarh Dam to enjoy bird watching. Return back to the hotel for dinner and overnight stay. After enjoying breakfast hit the road to reach Mussoorie another beautiful hill station of the state. Situated at the foothills of Himalayas at an elevation of 2,005 m above the sea level it is also known as Queen of Hills. Upon arrival check into the pre-booked hotel. Next morning post breakfast enjoy the sightseeing of Mussoorie and its nearby places. Striking attractions of Mussoorie includes Kempty Falls, Gun Hill, Happy Valley, Lal Tibba, Camel’s Back Road, Jwalaji Temple etc. Adventure enthusiasts can also take the ropeway to the snow point or can enjoy boating at Mussoorie Lake. Spend the evening at the Mall Road which is a total shopper’s delight and is like the lifeline of the resort where you can shop, dine and enjoy the surroundings. Return back to the hotel for dinner and overnight stay. Post breakfast check-out from the hotel and proceed towards Rishikesh which is situated at a distance of 76 Km from Mussoorie. Upon arrival, check into the pre-booked hotel and freshen up. Rishikesh has developed itself as the Yoga capital of the world with masses of ashrams and Gurukuls imparting yoga and meditation classes. Visit its major attractions like Laxman Jhula, Ram Jhula, Neelkanth Mahadev Temple and the Beatles Ashram etc. Return back to the hotel for dinner and overnight stay. On the last day of your exciting and fun-filled Nainital Mussoorie tour package leave the hotel post breakfast and drive towards Delhi. En-route enjoy a visit to the Har Ki Pauri at Haridwar and then continue your journey towards Delhi. Uttarakhand formerly known as Uttaranchal is located in the northwestern part of the country is a place of great diversity and abundance of natural beauty. Covered with snow-capped mountains, fertile valleys cascading waterfalls, gushing rivers and the highly venerated pilgrimage places make it one of the sought after tourist destination to visit and enjoy a great holiday trip. If you are planning a holiday to one of the most amazing states of India then don’t miss an opportunity to avail Uttrakhand holiday package with BookOtrip. Each itinerary designed by us will help you to explore the best in the place be it the beautiful places, adventure activities, places of religious importance etc. so that you can get the glimpses of all the beauty and diversity of the selected place. So come and enjoy your holidays with us. Rates are subject to change in case of any changes in taxes, Govt. taxes etc. Trip to Uttarakhand was great. The beautiful Lakes , walking on the road at night is amazing,boating experience, waterfalls and lets not forget the holy place Haridwar. I will visit Uttarakhand again & again it is an Ultimate place. Thank you BooKOtrip !!! !